We viewed this new construction home on 1853 N North Fairfield with our client near the 606 in Logan Square priced at $999,900. The property previously sold for $375K for redevelopment. One of our long time clients is looking to upgrade to a modern new construction or gut rehab single family home. 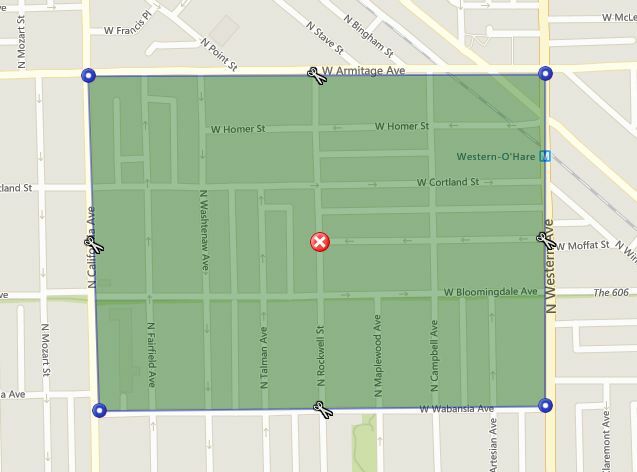 She'd like to stay near her current West Town neighborhood of Ashland and Division or Logan Square near the Blue Line. The area just west of of North Western and south of West Armitage is a hotbed of modern new construction fairly close to the Blue Line and the popular 606 trail and park system. Several modern homes are priced under $1 million. Our buyer clients were surprised by the skyline views from the built out roof deck (appears much closer in person). 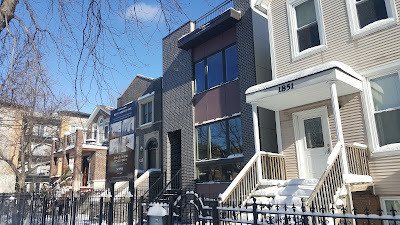 We are looking for a new construction home of this portion of West Town/ Logan Square. 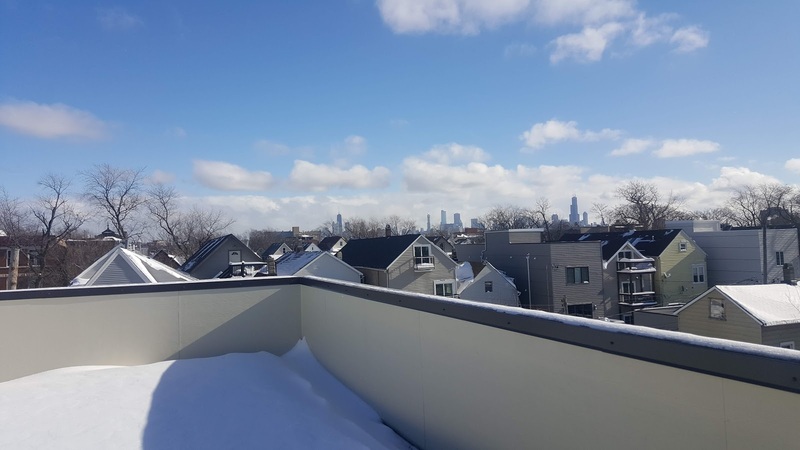 The area offers new construction homes around one million dollars with access to the CTA Blue Line and close to trendy restaurants and bars. 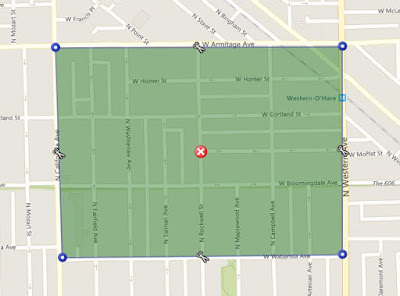 Humboldt Park is just southwest of the shaded area. Over 2018 the shaded area above of West Town / Logan Square (Armitage to Wabansia and Western to California) twenty-three homes closed with a median price of $870,000. In 2015 twenty-six homes sold with a median price of $740,000. Way back in 2012 when the market took off from the recession days twenty-three homes closed with a median price of about $500,000. Seven of those homes were sold as either short-sale or foreclosures. This popular area for home buyers and development has seen a 74% increase in median price of a single family home. Some of that is reflected by the many more new construction homes sold in recent years.